What this book does, perhaps for the first time in centuries, is to explain the ancient 'mystery' concealed behind the text of the Christian gospels at the time they were first composed. The author unravels the riddles of Greek scripture, exposing the devastating but artful plot so well known to the gospel writers in times of antiquity. It turns out that the deeply challenging message of the gospel is not what the Christian churches say. It is something very different... and explained at last for every reader of this groundbreaking book. No one actually knows who wrote the books of the New Testament. Yet they were composed in common Greek and first came to public attention between 50 and 150 CE. Copies began to circulate in the second century; but it was not until the fourth century that they received widespread attention. By that time the Greek language in which they were written had largely fallen from use in the western world. Translations began to appear. Around 380 CE the scholar Jerome prepared an official version of the four gospels in Latin. 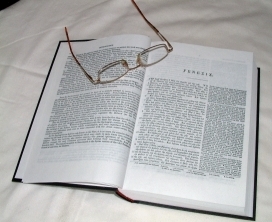 This formed the basis for the so-called Vulgate bible. It is a version still in use by the Catholic Church today. The hope has long prevailed that religion may serve as a force for good. Yet we know that religion can inspire behaviour which society regards as evil. An explanation advanced by some is that true religion has been perverted on account of human weakness. Others may be brought to question fundamentally the faith they first embraced. For if dreadful evil is enacted in the name of a god, can that god himself be good? This question has been asked down the ages. The books of scripture themselves are very curious documents, both in style and content. Could these be records of real events? Or should they be understood as fiction? At first sight there are plenty of inconsistencies - and details hard to account for. 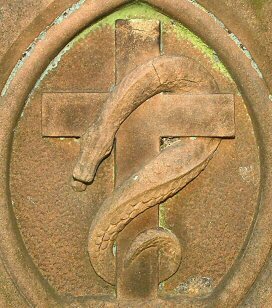 In the narrative of Genesis the cunning serpent deceives the woman Eve with the tantalising promise: "By death you will not die". And it is not long before the writer has the woman admitting: "The serpent deceived me...". It seems clear that the woman has made a bad mistake by embracing the serpent's promise. Yet in the narrative of the gospel we encounter Jesus promising eternal life to those who believe in his name. Indeed the Christian tradition has adopted this promise and made it all its own. But is this not the serpent's promise - repeated now by Jesus? And is calculated deceit not something inherently evil, whoever may choose to attempt it? Then in the gospels we find Jesus asserting: "If anyone comes to me and does not hate his own father and mother and wife and children and brothers and sisters, and even also his own soul, he is not able to me my disciple". Is this what someone good would say? And when Jesus is addressed as 'Good Teacher' we note his disconcerting reply: "Why do you call me good?". Against all the claims of the Christian churches, how can such matters be explained? Well, in truth they cannot be properly explained using the translated versions of the Bible upon which so many have come to rely. Translations give rise to several problems, with the ultimate consequence that the deeper meaning of scripture has been widely obscured. But when we go back to the primary texts we find them packed with clues to an otherwise hidden component of meaning. It is an additional component structured in such a way that most of it will be filtered out in the process of any translation. So by reading carefully in Greek we see what no one else will ever see. We are not dealing here with some fanciful 'Bible Code' which might provide the basis for a modern thriller. Nor should we be tempted to over-analyse the text, treating as meaningful certain features which, though real enough, plainly arise through chance alone. What we see embedded in the Greek is a deliberate 'addendum' intentionally placed in the text itself. This is achieved by using a limited repertoire of defined techniques, each one exemplified in such a way as to attract the attention of any careful reader. As we begin to understand, it soon becomes clear that the authors actually wanted to open our eyes and for us to learn the significance of scripture's hidden message... to learn what it all really meant. We find riddles of several kinds... logical riddles, counting and spelling riddles, significant anagrams... all of them visual and linguistic transpositions which, when the text is carefully examined and reason applied, inform the reader and lead to an inescapable conclusion. Visual clues of this kind do not translate from Greek to Latin, or indeed to English or any of the hundreds of languages in which the gospels are now presented. Unless you go back to the original Greek there is no way to see them. Yet once they are pointed out, they are easy enough to see. 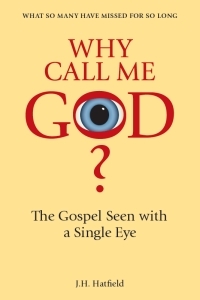 By reading Why Call Me God? you will be able to see them for yourself. Then you can draw your own conclusions. Read, reason... and you will understand. © Copyright 2012, Capabel Press. All rights reserved. Design by Mobious.